From its founding, Brandeis University's Sociology Department has been a distinguished small department with a distinct culture. Our culture links the key normative questions of democracy, social justice, and the good life to the critical traditions of European and American social thought and Chicago School methods of rich ethnographic fieldwork in communities and institutions. The graduate program's goal has been to oblige students to formulate questions of social and analytical importance in "big picture" terms and submit these questions to the test of rigorous qualitative research. Our graduate program strives to promote conceptual vitality, autonomous thinking, engagement with the empirical world, and critical analysis. 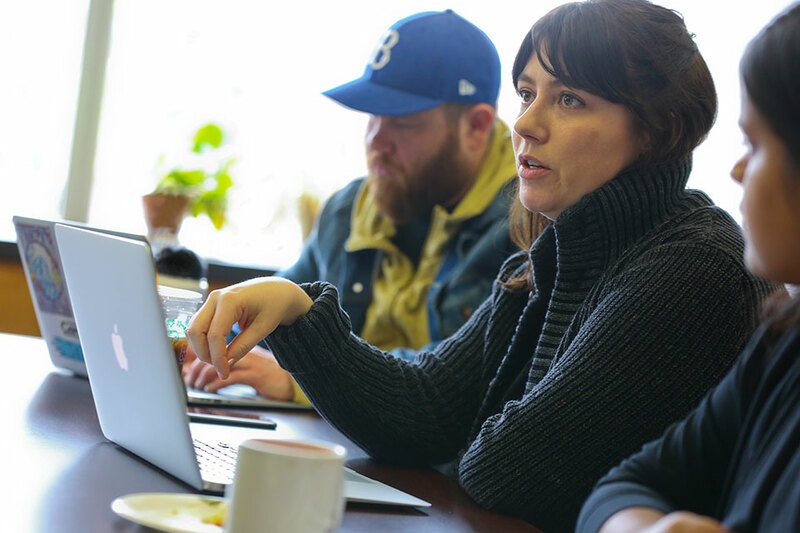 Our program boasts four pillars of expertise: Gender and Feminist Studies, Medical Sociology, Politics and Social Change, and Theory and Methods. Brandeis' Sociology department participates in the joint PhD program in Sociology and Social Policy with Brandeis’ Heller School, as well as a joint MA program with Women's, Gender, & Sexuality Studies. We encourage you to explore one of the department’s greatest assets through our faculty pages. For the most updated course listing, course descriptions, and degree requirements, please visit the Registrar. Letters of recommendation, submitted online. Four letters of recommendation are required for the Joint PhD in Sociology and Social Policy (one of which must be from the student's current program director). Two letters are required for all other programs. A statement of purpose indicating your reasons for undertaking graduate study. In addition, please describe your qualifications for the sociology program and your objectives in undertaking this program. Doctoral applications should clearly outline their research interests and how they would complement those of the faculty. Master's applicants should discuss their plans for their academic and professional career and how the Graduate School will help them attain their goals. A critical writing sample not exceeding 35 pages; the 35-page maximum may consist of a single critical essay or two shorter essays of approximately equal length. Graduate Record Exam (GRE) is required. Our GRE institution code is 3092 (please note: this institution code only applies to GRE scores). International applicants: Additional requirements for international applicants (non-U.S. citizens or non-permanent residents), minimum TOEFL, IELTS, or PTE scores, and important information regarding visas. If you are submitting TOEFL scores, please note that our TOEFL institution code is 3261. For a more comprehensive description of application requirements, please visit Frequently Asked Questions. Generous scholarships and financial aid are available; for more information please visit Financial Aid. Students and alumni can work closely with Career Services for an array of resources, including CV/resume help, job search, and networking.